Luana Anders rides a bike. 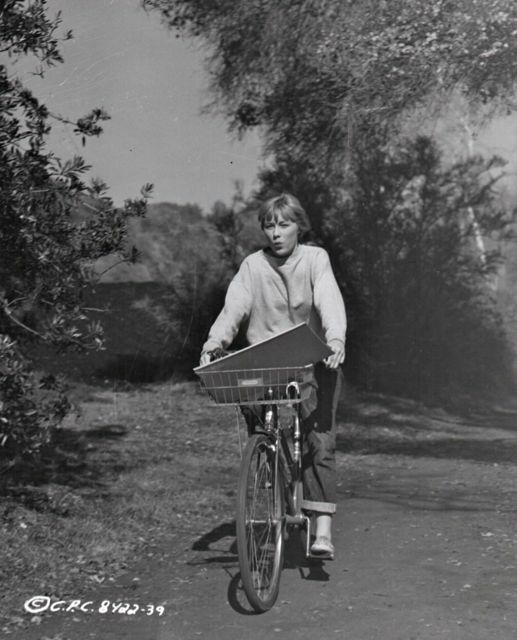 Luana Anders, bike messenger-turned-actress, rides with her sketch book in a scene from Life Begins at 17, a 1958 Columbia Picture that began its life as The Teenage Story. Edd Byrnes, Mark Damon and Dorothy Johnson also starred. Anders, born in New York in 1938, worked well into the 1990s (and passed away in 1996). She played Lisa, the hippie commune muse, in 1969’s counter culture classic, Easy Rider. Photo: Crosby.